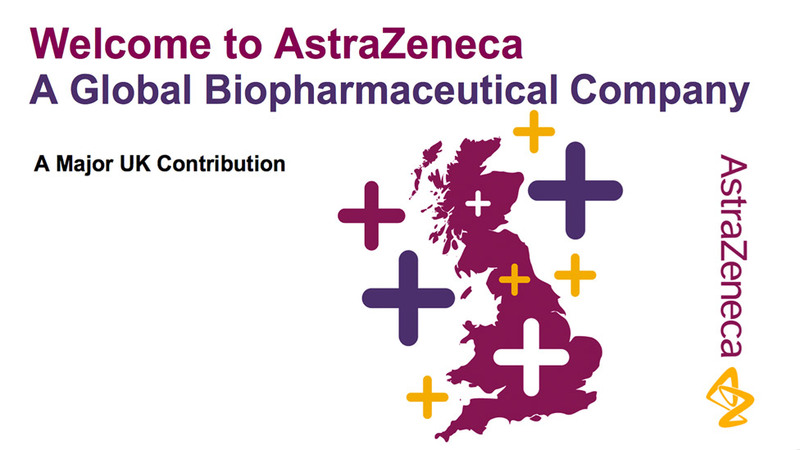 Having worked with AstraZeneca for many years, we were asked to produce a professionally designed corporate PowerPoint presentation to tell their ‘UK story’ to an external audience. 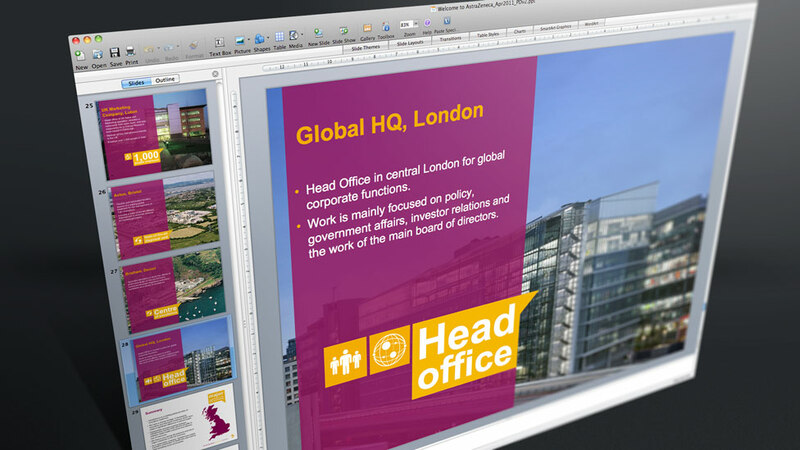 The PowerPoint presentation had to cover all aspects of the UK business operations, from the company philosophy, the products they produce and the benefits they bring to the UK economy as a whole. 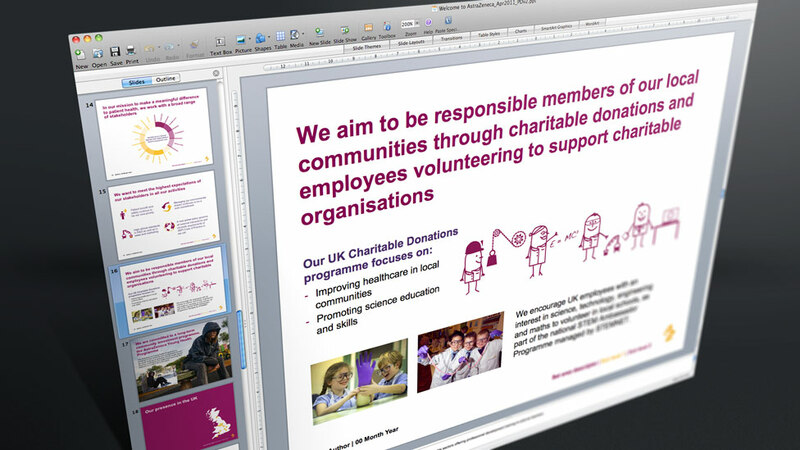 Working within the corporate guidelines we produced a range of graphic icons to help bring the story alive in a compelling and engaging presentation. 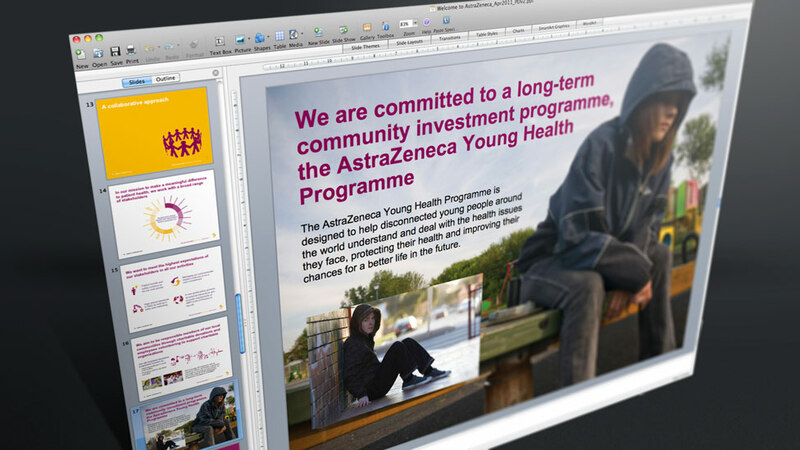 This was a huge step away from the usual PowerPoint presentations with the emphasis placed on the presenter to tell the main body of the story, and the use of the notes feature in PowerPoint, thus freeing up the slides themselves to remain clean and image-led with a good use of creative space. Nothing is too much trouble and ‘going the extra mile’ is part of the service. They’re pro-active, provide creative solutions, do whatever is needed to meet tight deadlines and work within the agreed budget, to produce a quality product.